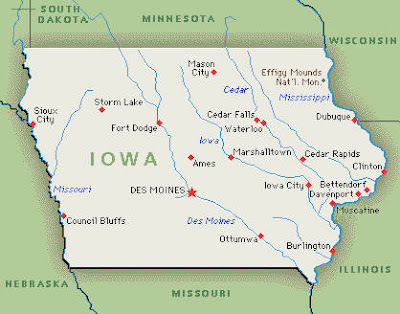 I know we’ve been MIA for a few, but with good reason… we’re in Iowa! Well, Shepherd and I are. We flew in last night, LATE, thanks to some bad weather in Atlanta and a very busy travel weekend due to the 4th of July. But we’re HERE and our first appointment is this morning to see Dr. Morcuende and Dr. Ponseti. I am so excited for Shepherd, this is the beginning of a whole new life for him! Yeah!! Thanks for letting us know. I will be praying all goes well. What a blessing that it worked out for just you and Shepherd to go. Wonderful news. I hope you have a fun,productive trip. Congrats and Good Luck sweet Shepard! Prayers are with you! Wow! You didn’t waste a moment getting him to Iowa!!! You’re amazing. Hope all goes well with Shepherd’s appointment. It’s incredible what they did for Jude and I hope that it is all just as successful for Shepherd. Wishing you guys all the best on this trip! Hooray!!!! Hope all goes well! I have been thinking about you and Shepherd all of yesterday and today. I am glad you made it safely and am praying that it goes well this morning. Glad that you’re in Iowa now! I know Shepherds feet will look beautiful soon. How long are you staying? I’ll be thinking lots of positive thoughts for you. Looking forward to seeing Shepherd’s transformation. What a lucky little man to have such great doctors to care for him! Welcome to Iowa, BABY!!!! Hope Lisa gets to meet that little man of yours 🙂 I am so jealous! Praying all goes well for you there. Looking forward to hearing how the appt. goes. He is an amazing man…..He fixed my friends daughters bi lateral club feet….Aliyah Dermer, her mom is Robin. She said he was a god send for her and aliyah, she flew every 2 weeks from florida in the middle of winter….and with the internet more children will be healed by his hands!!! Best of luck, shepard could not have been placed in better hands, and hearts than yours!! Stefanie! SAFE TRAVELS and BLESSED APPOINTMENTS for Shepherd!!! How exciting! That little man will be running around before you know it! So happy to know the process is getting under way! No way!! We were in Iowa this morning too. We saw Dr. Ponseti this morning at 9:00am. Eli’s feet look great, no new castings, just the brace at night and nap. We were thrilled with the work they had done in China. I’m excited to hear the changes ahead for Sheperd! Our prayers are with you. God Bless you, what wonderful people you are! Great news on the trip! We are praying for ya’ll! I know that this is a big step in Shepherd’s life and he has the greatest family to run to now. Let us know how things go. Praying God’s hand upon you & your precious Shepherd (and the rest of your family while you are away). It’s been amazing to read your blog and follow your latest journey. God is SO good! Blessings & peace. YAY!!! Give Shepherd a big old hug from his DG friend, Lizzie!!! We are getting our first cast today as well!!!! Keep me posted, Stefanie, on how he is doing!!! My second son is in Iowa City this week at a sports camp, If I was with him I’d run over and pray with you. Now I will pray from the other side of the state. Good luck to you and Shepherd! I was wondering where you guys had been. I’m so excited for Shepherd and his new lease on life. Thanks for letting us all know what’s going on. Can’t wait to hear how it went!!!! Sending prayers and hugs you way!!! I pray that everything goes smoothly and can’t wait to see the end results. I’m SO HAPPY that he’s in your arms!! I’d been meaning to ask when you were going to see Dr. P. Enjoy your time with the ‘godfather’ and good luck to S and his feet!